Thanks to all staff who came out for the Division-wide staff meeting last month. The focus was a “University Update” with speakers President Bill Powers, Executive Vice-President and Provost Gregory Fenves and Dean Brent Iverson from the School of Undergraduate Studies. Powers told our staff that “You transform lives in Students Affairs…. We owe you a great debt of gratitude….. There is a lot more going on here than in the classroom. Students get transformed because they involved in student organizations or intramural sports and leadership and service activities.” Check out the photos. 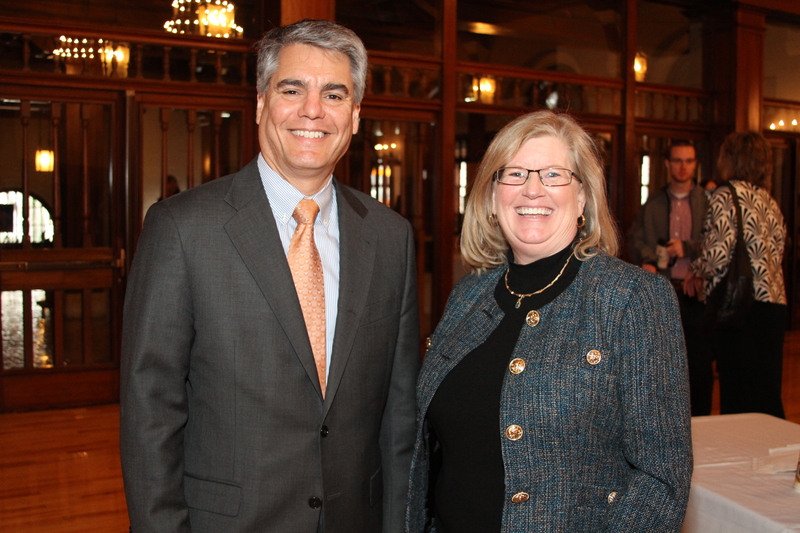 Almost 300 UT Austin faculty and staff attended Laura van Dernoot Lipsky’s presentation “An Everyday Guide to Caring for Self While Caring for Others” on Jan. 9, co-hosted by the Division of Student Affairs, CMHC and the School of Nursing. 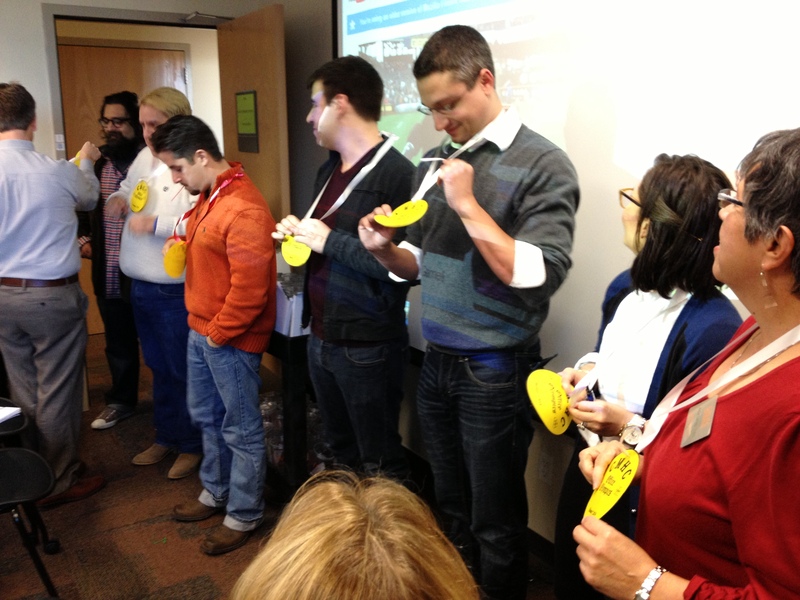 CMHC’s newly-minted Wellness Team kicked off the new year with a rousing rendition of Office Olympics. Staff members participated in snowball slalom, goldfish toss and office basketball among others. The winning team received “gold” medals while the national anthem played in the background. 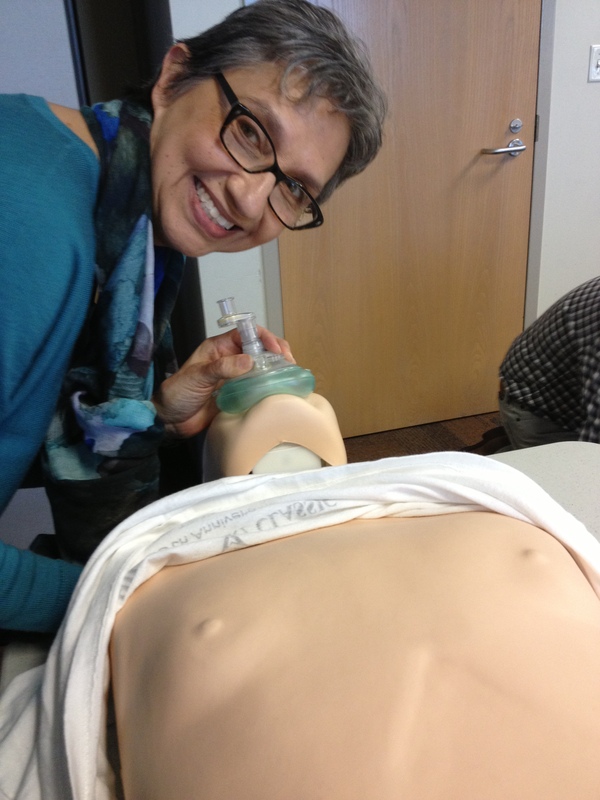 Dr. Melissa Eshelman, CMHC chief of psychiatry, arranged for all CMHC staff to receive biannual cardiopulmonary resuscitation (CPR) training. In a partnership with the Office of Admissions, students are now able to register for residence hall tours through the Be A Longhorn website. Housing Reservations is also offering a weekly information session for prospective students called Living on Campus. On Jan. 7, residence life staff spent a day together engaging in teambuilding activities, touring the Harry Ransom Center and exploring numerous professional development topics. The presentations included “Resilience” by Hemlata Jhaveri; “How You Fit into the Larger Picture” by Gloria Allen; “Choosing Your Battles” by Justin Jaskowiak and Courtney McElroy; ”Crucial Conversations” by Aaron Volyes; “Reputation Management” by LaToya Hill and “Staying motivated in the New Year” by Tom Dison. One hundred staff members participated in the 3rd annual DHFS Wellness Fair on Jan. 10. The campus community attended the fair with the goal to provide relevant wellness resources that individuals could use to achieve their wellness goals. Staff had the opportunity to meet with 22 vendors. Tom Dison and Hemlata Jhaveri joined Rob Richardson from the Office of the Dean of Students as judges for the 4th Annual Case Study Competition on Ethical Leadership. 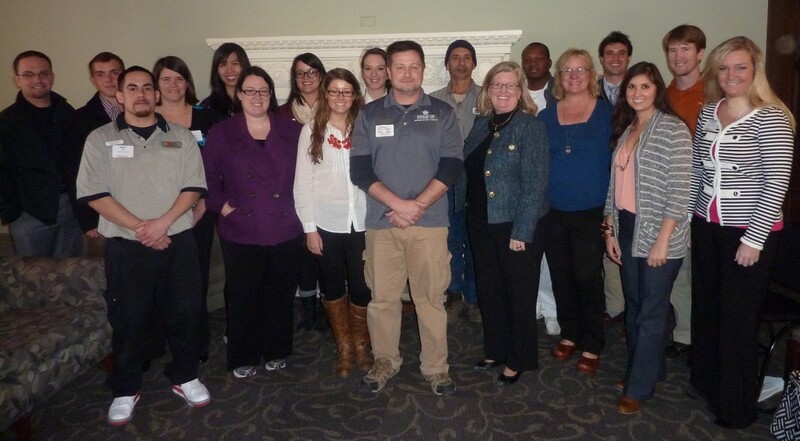 DHFS cohosted the event with Student Judicial Services. Resident Assistants from Whitis Residence Hall won the competition. A special reception celebrated the latest edition to the Longhorn Art Series, ‘Red River Crossing’ by artist Lyndy Benson. Take a look at the photos. Littlefield Patio Café reopened this semester featuring new renovations to the ceiling above the hot line. New track lighting was installed and digital menu screens were moved forward to increase visibility. J2 and Kinsolving invites you to the African Diaspora Dinner starting at 4:30 p.m. on Feb. 19. Enjoy live steel pan drummers and cultural food influenced by the Caribbean, South America, Africa and the Deep South. 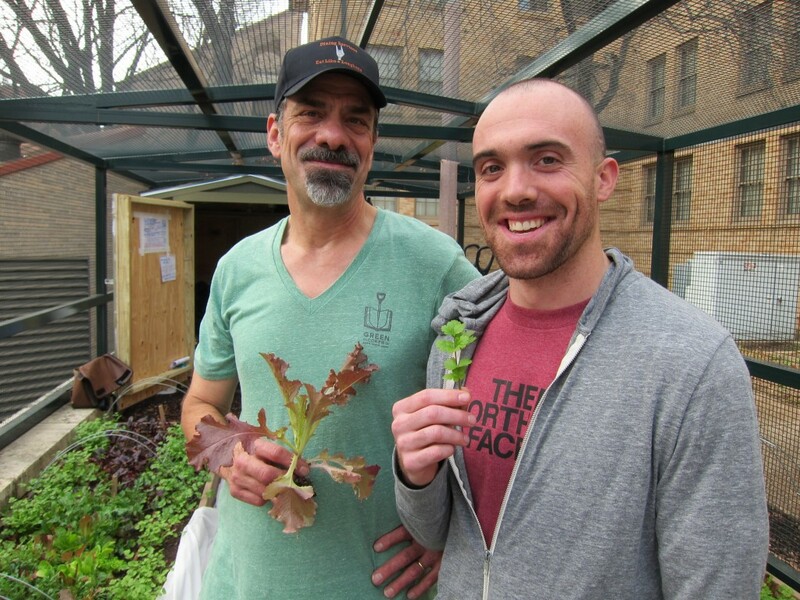 We’re working with our Green Corps students to begin harvesting produce from Jester Garden. The harvest includes assorted baby lettuce, baby kohlrabi greens, cilantro, radish and arugula. The vegetables are being served at DHFS dining locations with a high percentage at J2 VIP. The Green Corps program offers experiential learning opportunities to our students who manage the gardens. The harvest was featured in a story by The Daily Texan. 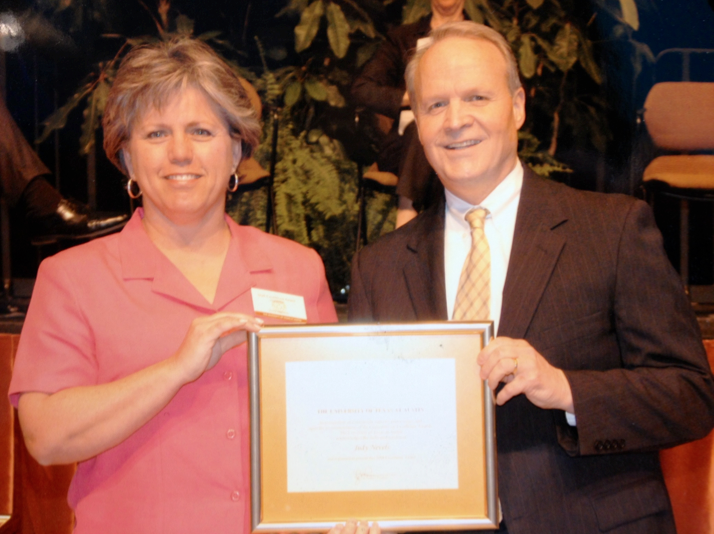 After 18 years of service to the university, Judy Nevels retired at the end of January. Her 16 years with NSS resulted in countless cross-divisional partnerships and impacted orientation for thousands of new students and their families. On Jan. 15, NSS partnered with Student Activities for the second Spring Student Organization Fair. The event sent special invitations to students who entered in the fall. Around 70 student organizations and 500 students attended. Special thanks to the Student Activity Center for hosting this meaningful event. Spring Orientation staff and orientation leaders welcomed nearly 600 new Longhorns on Jan. 6. The morning opened with a special welcome from Dr. Gage Paine and finished with a special meet and greet with student leaders. NSS kicked off the new school year with its “Peer Helping: Concept & Process” course (EDP 369K) to train an orientation advisor staff (72 new and 18 returning students). NSS is closely with the Office of Admissions and Office of the Provost to build a Class of 2018 audience and community through social media. The #GoneToTexas social media campaign was highlighted in a recent online story. New Student Services is responsible for managing the “Class of 2018” social media platforms on Facebook, Twitter and Instagram. As our UT family continues to celebrate the contributions and life of an amazing leader and friend, New Student Services, the Office of the Dean of Students and University Events plan to announce a campus wide celebration in honor of Cristi Biggs very soon. Student Judicial Services held its Academic Integrity Bulletin Board competition for resident assistants (RAs) in Housing and Food Service. RAs were encouraged to portray information on violations, how to report violations, how students can avoid committing violations and resources available to them. 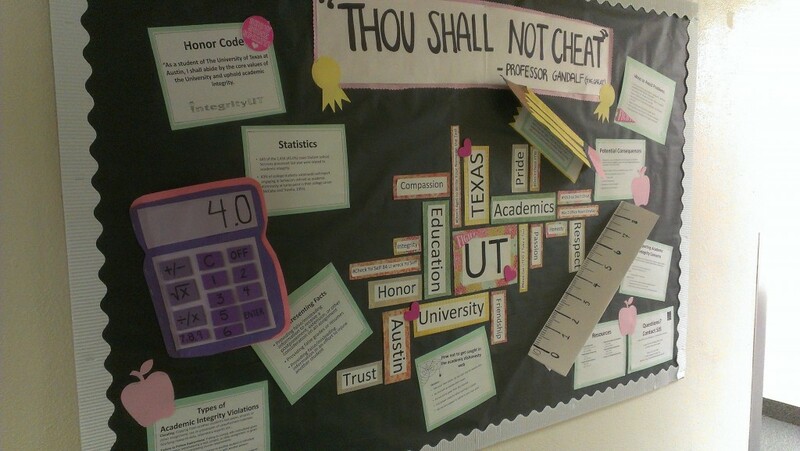 The winning boards were located in Kinsolving South, Moore-Hill and Kinsolving North residence halls respectively. Legal Services for Students staff organized the 20th annual University Student Legal Services Association – Western Region Educational Conference in Santa Fe, N.M., Jan. 6–9. Representatives from 20 universities took part in the conference, which featured guest speakers on disability rights, veteran affairs, social media and legal challenges facing the growing international student population on college campuses. Sylvia Holmes and Raymond Schiflett were elected the group’s president and vice-president. Student Activities is inviting qualified students to apply for the Glenn Maloney Memorial Scholarship, Sharon H. Justice Endowed Leadership Scholarship and the Sean H. Bourgeois Memorial Endowed Scholarship. If you work with students who would be interested, please share this information. The True Colors® staff education initiative will launch Division-wide this month. In conjunction with our strategic plan, it is an investment in the full potential of our staff. Participation is mandatory for all full-time, benefits eligible staff. The two-hour workshop will help staff learn more about our individual work style, how to work better with others and help us develop a common language. Contact Jan Austin-Scott with any registration questions. For a better understanding of what True Colors® is all about, watch this video. A new Student Affairs Staff Resources wiki page will be available soon with further resources. The first installment of the Division’s new monthly “Celebration of Service” event kicked off last month. 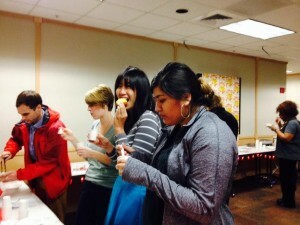 This event replaces last year’s Cupcakes and Conversation events. Now, staff will be invited monthly to sit down for some light snacks and conversation with Gage Paine. Look for your invitation in the months ahead. You can see the photos from January’s event here. 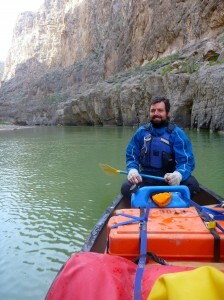 The fall 2013 Guide School, under the direction of Senior Assistant Director Chris Burnett, culminated in an expedition to Big Bend National Park Jan. 3–11. Chris and three teaching assistants led 12 undergraduates on an eight-day wilderness expedition where they taught students swift water rescue, wilderness emergency response and more. Chris Burnett also led a trio of graduate students to San Antonio for the Region IV & Friends Student Lead On Workshop sponsored by the National Intramural-Recreational Sports Association. The workshop offers leadership training to aspiring recreational sports professionals. RecSports will celebrate National Recreational Sports & Fitness Day on Feb. 19 with free access to group exercise classes and a special event from 2–5 p.m. in Gregory Gym. Chrystina Wyatt, assistant director for Fitness/Wellness, introduced a new promotion called First Thursdays to increase participation in group exercise classes. Every first Thursday of the month, a free exercise class will be offered to students and RecSports members. RecSports hosted a nationally-recognized U-Jam Fitness® workshop in January, enabling participants to earn continuing education credits. Fitness classes received a boost during Nike’s NTC (Nike Training Club) Week, Jan. 20–25. 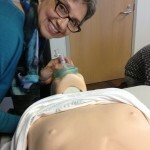 A different NTC class was offered twice each day. Texas Parents is organizing the spring 2014 Texas Parents Student Services Endowment Brick Paver campaign. It encourages parents to make a gift to the endowment while honoring their students with a brick paver laid at the entrance to the Student Services Building. The deadline to order is Tuesday, Feb. 18. Click here for more information. Applications are now being accepted for the spring 2014 Student Enrichment Awards. Staff is asked to encourage student organizations whose activity will enhance and enrich the student experience to apply. The deadline to apply is Monday, Feb. 10. Texas parents is also accepting applications for the Family Orientation Student Leader (FOSL) position. FOSLs are part of the Texas Parents team that welcomes new Longhorn families to the campus community at Family Orientation. The job details and application are available online. Texas Student Media will host the annual “Texas Student Media Housing Fair,” on Gregory Gym Plaza Feb. 19 from 11 a.m. – 4 p.m. Free food will be provided to attendees. For more information email the Texas Student Media Advertising Department or call at 512-471-1865. Join CSR and the Friends of the LBJ Library on Feb. 26 at 6 p.m. for “Now What? The Moyers’ Journey from Addiction to Recovery” at the LBJ Auditorium. Bill, Judith and their son, William Cope, will speak about their profound journey of recovery and advocacy about addiction in this moving event. Email Friends of the LBJ Library to register. Registration is required because seating is limited. CSR is completing the move to its new space in Bellmont Hall. 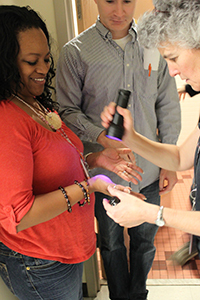 At the January Organizational Day, UHS staff participated in interactive safety training on infection prevention, safe lifting, building evacuation and more. Then staff explored a key episode in UT Austin’s history by watching and discussing the documentary “When I Rise,” the story of alumna Barbara Smith Conrad. A gifted student, she faced and ultimately triumphed over tremendous racial prejudice. We’re grateful to facilitators Gloria Allen of DHFS, Shane Whalley from the Division of Diversity and Community Engagement, Dr. Smita Ruzicka with DOS, Kyle Clark with NSS, and especially Dr. Richard Reddick and the student panelists who addressed bias on campus today. After tons of research and hard work, UHS launched its new mobile-first website. Check it out on your mobile device. UHS staff celebrated their 2nd annual Chili Cook-off with diverse interpretations such as Cincinnati chili (served on spaghetti! ), savory vegetarian entries and beefy Texas red. Bragging rights for 2014 went to Gina Wagner for Best Beef Chili and Judges’ Overall Favorite; Gail Blythe for Best Chicken Chili; Trisha Turner for Best Vegetarian Chili; and Katherine Green for People’s Choice. Due to the overwhelming success of the UHS Physical Therapy Clinic, UHS has hired a second physical therapist to accommodate the demand. UT Austin faculty and staff can receive physical therapy right here on campus with UHS. Staff welcomed new executive director, Mulu Ferede, to the University Unions on Jan. 21. Staff led eleven new student employees through the University Unions’ bi-annual student staff leadership training. A variety of student event will be hosted here this this month including Every Nation Campus Ministries MAZE Magic, the Sigma Lambda Beta 7th Annual Purple and White Stroll-Off, China Care’s Fifth Annual Benefit Night, Texas Revue Auditions, the UT Jazz Orchestra and Beta Chi Theta’s Texas Best Dance Crew. After receiving requests from a few student dance groups, the maintenance team upgraded the SAC dance rehearsal space over the winter break by adding an additional wall of mirrors. The SAC audio/visual team completed its upgrades in the Legislative Assembly room. The room now features upgraded projectors and High-Definition Multimedia Interface (HDMI) input capability.